We have several decades of experience with septic tanks to provide you with exemplary service and advice. Did you know that septic tanks can last nearly indefinitely? It’s true, but that comes with the caveats that they must be properly maintained and treated properly, they do not become damaged, and they were constructed and installed properly to begin with. Given that you’d prefer not to experience the costly endeavor of replacing the tank on your Beaufort, South Carolina property, let us help you keep it in top condition. Here at Degler Waste Services, we have provided thorough cleaning and pumping services for septic tanks since 1965. Our pumping services are just one way we can ensure you enjoy a lifetime of service from your septic tank. We are also more than willing to advise you on what you can do to keep the tank healthy. One suggestion is either minimizing how much you use the garbage disposal or planning to have your tank pumped annually instead of on the typical 3-to-5-year schedule generally recommended. Many of our customers are surprised by how quickly a tank can fill up when sending food scraps to it daily and decide that using a compost bin is a better option. We are also happy to explain exactly how septic tanks work, so you can fully understand why certain situations can overwhelm it, such as introducing a lot of water to it at one time. It is also important to know where the tank and drain field are located so you can avoid damaging them when renovating, digging, or driving a vehicle near them. If you have any questions about septic tanks or would like to schedule maintenance, don’t hesitate to contact us. 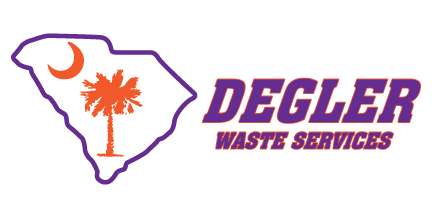 At Degler Waste Services, we offer high-quality services for septic tanks in Ridgeland, Wellford, Lyman, Spartanburg, Inman, Tryon, Landrum, Greer, Taylors, Greenville, Mauldin, Simpsonville, Travelers Rest, Pumpkintown, Lady’s Island, Bluffton, Hilton Head Island, Hardeeville, Beaufort, and Walterboro, South Carolina, as well as Savannah, Georgia.